The (PSTS) Petit Steps to Success Program transitions you from cluttered and unsure to clear and intentional. Every step you take in your business and life after completing this program will have and intention and focused energy powered behind it. By the end of out time together, you will be armed with a clear, personalized action plan, all wrapped in one book: Vision (life) Plan. Throughout the Masterclass you will have access to the VP Collective, your private mastermind group, as well as weekly "Office Hours with Monica" meetings to keep you motivated and focused. Stop getting paralyzed by trying to "figure out" where to start. Put the pieces together and know the exact steps to take Daily, Weekly, Monthly, Quarterly & Yearly. Avoid "Shiny Object Syndrome" Start to build that legacy and empire that you desire. 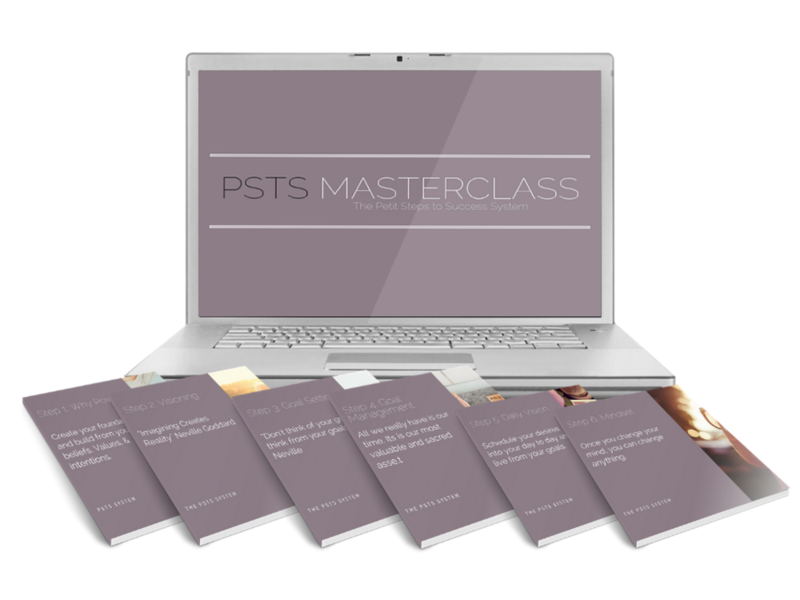 Is the PSTS Masterclass right for me? You have a goal or goals that you are ready to work on. You have no idea how to break those goals down into actionable steps. You a READY to do the work needed to make things happen. You are TIRED of living in Situational Dependency. The Masterclass is offered in a variety of ways to accommodate your specific learning style. We offer group sessions, one on one sessions, and VIP Days. The VIP Day is a dedicated day of work intended to get results by focusing on your set goal(s). It consist of 8 hours of navigating through exercised to ensure clarity over the direction of your vision plan. By the end of the 8 hours, you’ll have a complete plan of action to drive your success. The Q4 Intensive is a serious class dedicated to hammering out action plans for the upcoming year. Monica Petit is a Business Strategist and Mentor for busy women with a desire to leave situatitional dependency and live life on their own terms.